An underfloor heating system is one of the best ways to heat your home. They provide regulated heat, comfortable temperatures, and eliminate the need for bulky radiators. But just what are the financial implications of this modern technology? UK homes are some of the most expensive to heat in Europe. While there are many factors at play as to why we pay so much, the costs of running our heating is one of the biggest reasons. Outdated boilers and ineffective radiators can send our heating bills skyrocketing. Underfloor Heating Trade Supplies provides a viable solution to heating our homes for less. But, like many home improvements designed to save us money, there are a number of financial aspects that need to be looked at. To determine whether Underfloor Heating Trade Supplies are worth investing in, we have put together a complete financial guide to the running costs and financial side of underfloor heating. Before we dive into the running costs of underfloor heating, you need to know a little more about the two primary systems. There are two main underfloor heating systems, dry and wet, also known as electric and water. Both come with different benefits, costs, and options, so it is one of the biggest decisions you’ll have to make about your underfloor heating. Wet underfloor heating works by pumping warm water under your floor through piping, while dry underfloor heating consists of electric wires placed under the floor in a network. Generally, either heating can be used for the majority of rooms, but there can be some more suited to certain homes than others. No two houses are exactly the same, so it is impossible to put an exact figure on just how much your home will cost to run. There is an extensive list of factors that influence your heating bills. With underfloor heating, the biggest influencers will likely be the amount of home insulation you have, your flooring type, which system you use, your energy tariff, and how secure your windows are. In an average household, over a 18m2 living space you should expect wet heating to cost around £65 a year and dry heating to cost around £215 a year. This covers 5 hours of use per day over 150 days of the year. The price will fluctuate depending on the time of year and how energy efficient your home is. Of course, the cost of running is not the only financial aspect of under-flooring heating that needs to be considered when making a decision. The install costs of the system are a big deciding factor. Dry underfloor heating systems are generally more affordable to install that wet systems. This helps to offset the increased cost of running the dry system. You can also install DIY dry systems yourself using Underfloor Heating Trade Supplies. This cuts the cost of the install even further. Due to the design of wet systems, they need to be installed by an expert in underfloor heating. There are also the possible implications of changes to your home. With dry heating it is normally relatively simple, insulation needs to be placed below the heating system before it is fitted. With wet heating the change can be more complex, the floor would need to be raised if there is not enough room for the larger system. 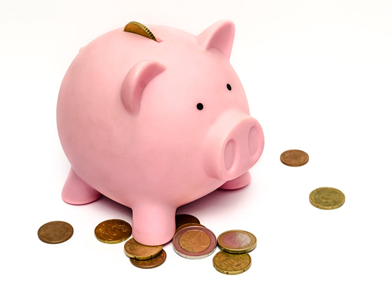 Just as there are costs with installing and running underfloor heating, there are also savings to be made. There are a lot of aspects about underfloor heating that is designed to cut energy use and reduce heating bills. The lower operating temperature, better heat retention, consistent heat, and quick heating time all contribute to lowered energy use and the resulting reduced heating bills. It is also possible to link both types of underfloor heating up to renewable sources, saving you more money when running the system. Wind turbines and solar panels are great options for both systems, making running them eco-friendly and cost-effective. Underground heat pumps are ideal options for wet heating systems, drawing on the grounds natural heat to bring the water up to temperature. Whichever heating system you decide to use, there are plenty of ways to reduce the costs. From low profile kits to overlay and tile direct systems, Underfloor Heating Trade Supplies have an exceptional range of underfloor heating to choose from. For more information about which kits will be ideal for your home, visit the website. With the winter season nearing, checking out the best heating options for your home will do wonders in the long run. Not only for comfort but it will have a financial impact as well. Let me know in the comments below if you still have the old radiator type and would like to invest on a underfloor type? 6 comments on "Your Financial Guide to Running Underfloor Heating for Your Home"
Everyone should think more while reading these articles.